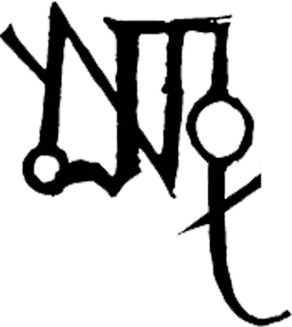 The group distils its venom sparingly, preferring to bide its time rather than unleash a flood of poor productions: so far, a Cassette released privately for a small number of initiates the mini LP Prostration, first in analog (2006) then digitally (2010) a split with Aosoth in analog (2009) and an upcoming album which should be unfurled in the very near future... On the other hand there have been numerous celebrations and a number of groups/brothers have partaken in the liturgies: Antaeus, Blacklodge, Alien Deviant Circus, Christicide, Destroyer 666, Embrace of Thorns, Hell Militia, Ofermod, Peste Noire... these concerts are veritable rituals that make an impression and never leave you indifferent. Like a sonic Mark, the message rests in your subconscious whether you like the performance or not. Malhkebre spreads His word and isn’t there to put you at ease but to make you accept your paltry human condition through submission to the One... Only then can you raise yourself in suffering... you deserve it. Biography by Frater Kryst DvX. "...Dueling vocals, pseudo-chants and plenty of incantations to The Other Side are in abundance and the bountiful diabolism. Taking a mulitilingual approach to spreading their wretched plague far and wide with tracks titled the likes of “Black Art Macht Frei” the classic adage “Veni, Vidi, Vici” and the ominous “Join Our Cause Or Die”, Malhkebre devour the souls of non-believers and infidels faster than the impact of a suicide bomber’s explosive-loaded vehicle upon Abraham’s lackeys!..." "...Records like this is what this genre needs. In a time where it seems that almost every second band try to use a certain formula to achieve „success“, Malhkebre shoving this filthy, dark and twisted opus into your face..."
Words by calligraphed.sins @ Instagram. "...'Satanic Resistance' is a twisting and tortured slab of black metal rooted in the most vital Satanic rites; abyssal hymns characterised by raw hateful riffing that evokes the best of traditional black metal, and churning dissonance, reminiscent of the modern French black metal scene. In particular, the record evinces a deep dedication to Satanism, and to its associated ritualistic practices. You should agree that Black metal needs to come back to its primitive roots, and the audience needs to be reminded of the violent and uncompromising nature of this form of art. This record is stunning in that way..."
Words by metalfaceguy @ Instagram. 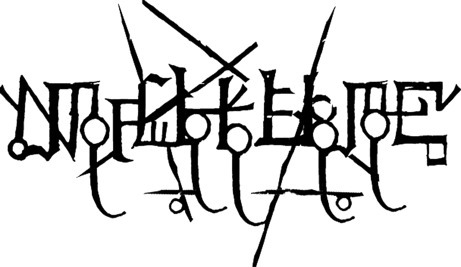 ...The French Black Metal quartet bears a lot of the same unhinged, gross, and dirty sound and imagery that several of their other compatriots have made famous. With their second full-length, Satanic Resistance, the band is poised to make another mark on what seems like an almost calm and stagnant genre. I can’t tell you how badly I needed to hear a record as visceral and out of control as this..."
"...Revelation is ugly and unhinged, sounding only one step removed from losing its identity in a feral nightmare of debauchery and twisted filth. There’s nothing pretty or romantic about this form of Black Metal. This is all about the dark side, the underbelly of the scene. The occult feeling is strong but in a base, sacrificial way; rather than being shrouded in mystery or fog it’s shrouded in blood and gore...."
"...This French quartet is all about extremity. Their music, album art work and live performance, Black Metal to the core, founded in 2002 in Toulouse France they have released an EP called "Prostation" with four tracks. I would say thus making an impact in the Metal scene and saying that we are here and we will stay...."
"...MALHKEBRE is extreme in every way and the fact that they don't stick in a hyperblasting cruise control, but incorporate suitable breaks and variation in speed show their class and clearly MALHKEBRE is disturbing force. They're very talented and "Prostration" will most definitely please fans of extreme Black Metal...."
"...The 4 tracks on the EP seem to form a satanic invocation, of sorts, which I have to admit is a novel approach to a musical career. Stylistically it’s OLD-school black metal – the sort of thing you want if you think Emperor sold out, or Mayhem weren’t edgy enough. It’s the sort of record where you do tend to get the chills, Darkthrone style chills, at every tempo change. The production here is cleaner though, which picks out Berzerks every shriek and monastic groan with a clarity a lot of BM could do with. For me, the EP’s two stand out tracks are the two with English lyrics – ‘Nothingness way’ and ‘Obscurus Religiosus’, which build slowly, before erupting into a frenzy of blastbeats and howls. They’re ice cold and furious, and VERY, VERY far from any more cheap Norwegian comparisons.​​​​​​...."